Operation: Hopper windows open in-ward where the top swing downward with the window hinge at the bottom of the operating sash. In other words, hopper windows tilt by pulling inward at the top. 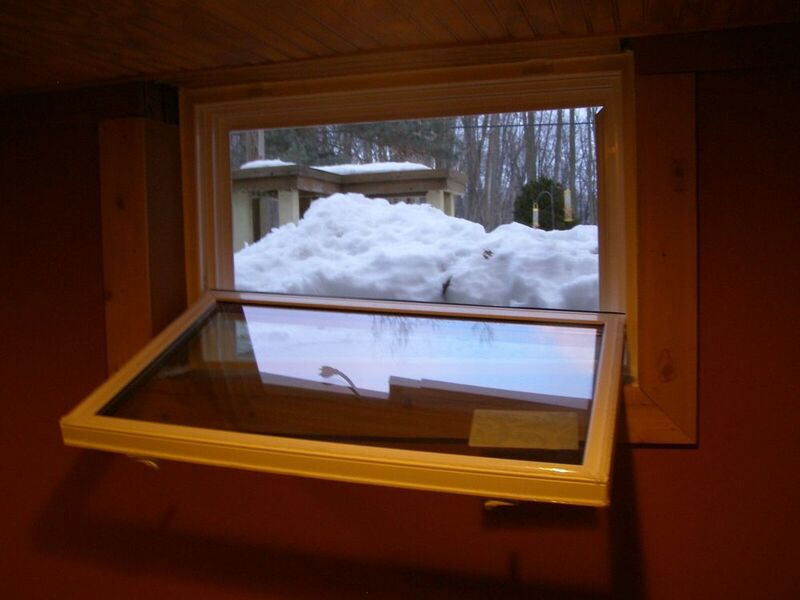 Hoppers are a beautiful alternative to unsightly and inefficient steel windows found in many basements. Benefits: Hoppers can be opened to completely take advantage of the full window area, and are extremely weather-tight, protecting against the harsh elements.